A motivational fictional novel about starting over when life throws some major obstacles in your way. The resiliency it takes to begin again with hope. What does it feel like when your life is suddenly turned upside down? What happens when a life event occurs that you were not expecting, and your personal and professional plans are thwarted? Nothing makes sense. The path you are now on is nothing like the one you were walking before, and there is nothing but the overwhelming darkness of uncertainty and fear. Meet Sage Knight, whose life has become this new reality, and is now faced with a trail of anxiety and confusion. It is at those times when one is seeking answers, she or he must be open to new possibilities. For Sage, it is going to a calming spot near her home in the town of Lake George in the Adirondack Mountain region and praying for a fresh direction. When her prayer is answered, she has no idea how her path will pave the way for another person in her journey to receive much-needed healing and a brand new perspective. 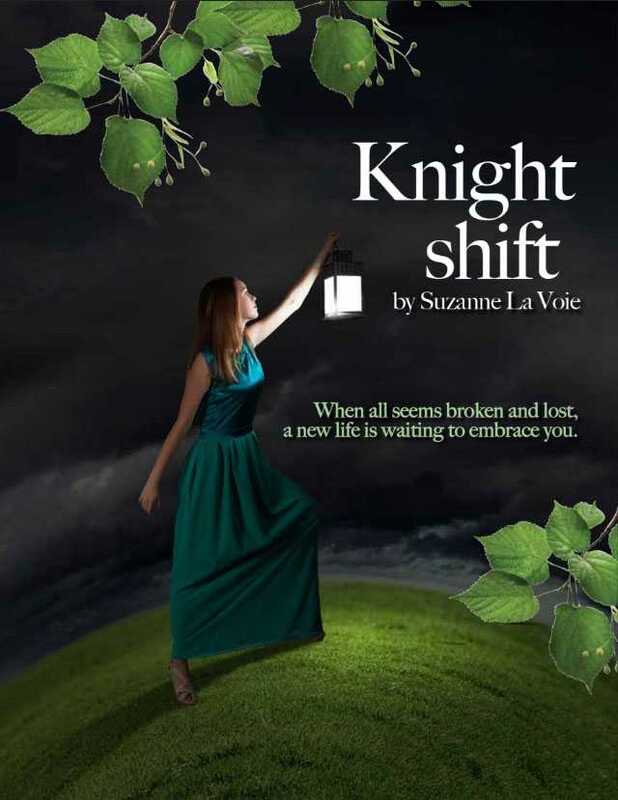 Knight Shift is about the power of starting over, dealing with and overcoming adversity, and discovering new skills and abilities, sometimes even a career that was never considered before. Come along on Sage's journey and immerse yourself in her story and the characters whom she comes in contact with along the way. The shifts in our lives can become our greatest blessings if we allow them to.